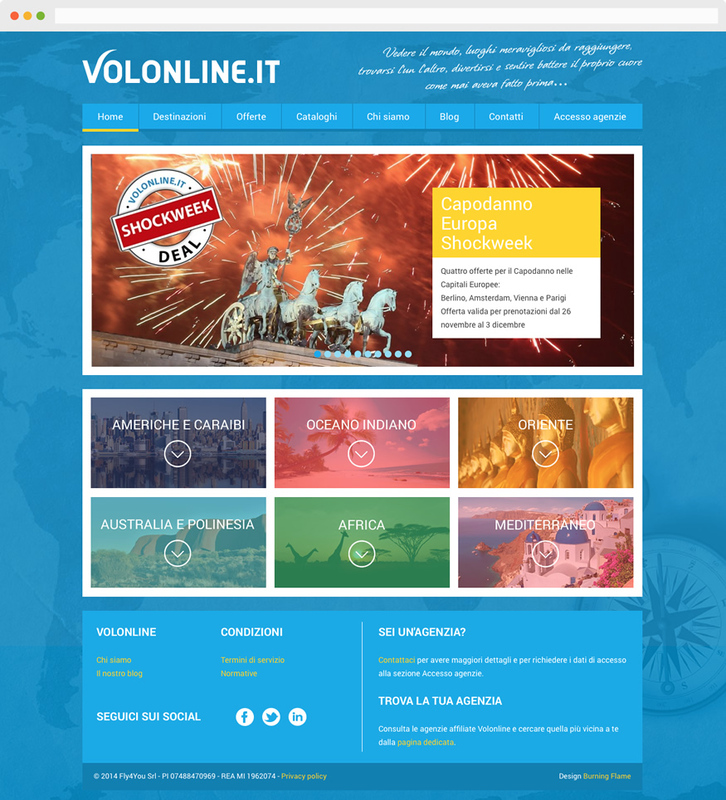 Volonline is a tour company formed by a team of professionals with the aim of offering consultancy service to travel agents on the Italian market. We developed the new website starting from graphic design project and a study of the user experience. The portal was developed through the HTML5, PHP, CSS and jQuery technologies, using the WordPress engine as a base and customizing it according to the needs. Responsive development allows an optimal experience, from smartphones, tablets and desktop computers, ensuring full accessibility of the published contents.